Ahead of the Academy Awards on Wednesday, People magazine released its list of Hollywood's most stylish stars. 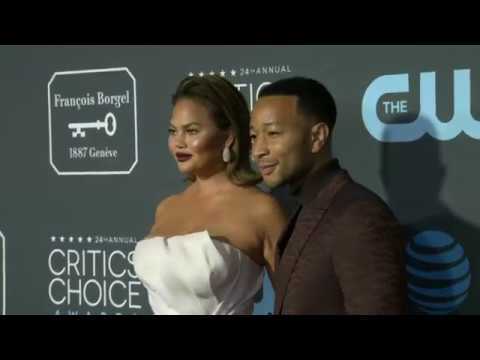 PASADENA, Calif. (AP) — A roundup of news Friday from the Television Critics Association winter meeting, where TV networks and streaming services are presenting details on upcoming programs. Meryl Streep's self-professed addiction to "Big Little Lies" had the bonus of turning the Oscar-winning actress into a star of the HBO drama's second season. LOS ANGELES (AP) — Director Vicky Jewson was looking for women with dangerous jobs to get inspiration for her next project when she came across the name Jacquie Davis. Davis is a bodyguard, a rare profession for a woman, and has in the past 30 years protected everyone from royals to celebrities like Nicole Kidman and J.K. Rowling, and also staged undercover rescue missions and surveillance operations. There was little question that her experiences would be the perfect template for "Close ," now streaming on Netflix. The actress who famously donned a prosthetic nose for "The Hours" has here gone to greater and grittier lengths of transformation. Her eyes are sunken. Her skin is hardened. Her stare is provocatively hollow. She looks dead inside — nearly so on the outside, too. Life is good for Liane Moriarty. The "Big Little Lies" novelist who partnered with actress Nicole Kidman to turn that book into a hit HBO series, sold the rights to her new novel, "Nine Perfect Strangers," to her Australian friend before the rest of us could even read it. TORONTO (AP) — It was as she forcefully stuffed actress Tatiana Maslany into the trunk of a car that the sheer out-of-body experience of her role in the brutal L.A. noir thriller "Destroyer" came into focus for Nicole Kidman. LONDON (AP) — More than a third of films at this year's London Film Festival were directed by women, organizers said Thursday as they revealed the schedule for the October movie extravaganza. SAN DIEGO (AP) — Warner Bros. brought out all the stops Saturday at Comic-Con with an army of stars, surprises and new footage from films like "Aquaman ," ''Shazam! " and even "Wonder Woman 1984," which is only three and a half weeks into production. Jason Momoa, Gal Gadot, Chris Pratt, Johnny Depp and Nicole Kidman were just a few of the starry names to grace the stage of the comic book convention's Hall H.
LOS ANGELES (AP) — Amazon Studios says it's signed a deal with Nicole Kidman and her production company for TV and movie projects. Under the "first-look" deal, Amazon and Kidman's Blossom Films will develop original series for Amazon Prime Video and big-screen films. In a statement Thursday, Amazon Studios head Jennifer Salke called Kidman "a force of nature" as an actress and a producer. 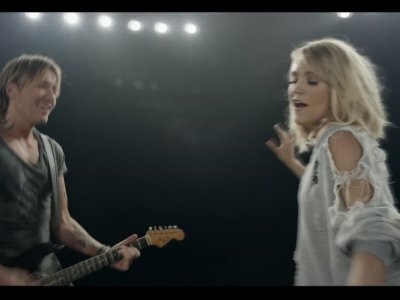 NASHVILLE, Tenn. (AP) — On Keith Urban's new record, "Graffiti U," female collaborators are featured on many of the tracks both as songwriters and duet partners. But it's his wife, Nicole Kidman, who steals the show. Nicole Kidman wants husband Keith Urban to appear with her in 'Big Little Lies'. The 50-year-old actress - who stars as lawyer and mother Celeste Wright in the hit HBO series - would love the country singer to make a cameo in the show, but he is not so keen. 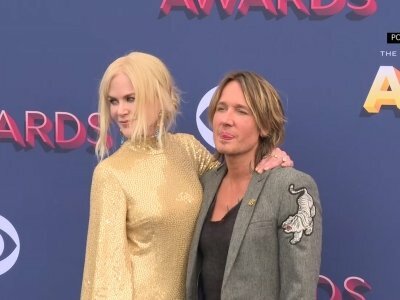 Keith was asked by 'Entertainment Tonight' if her would like to appear in the show, but he said: "No, I'll go on the set. I wouldn't go on camera. I love being on set where Nic is. I'd rather be in the studio." 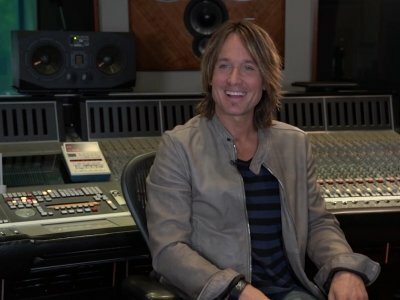 Keith Urban "sucked at relationships" before he met Nicole Kidman. The 'Blue Ain't Your Colour' hitmaker thinks he has become "more so the person" he thought he was before he met his now-spouse, with whom he shares Sunday, nine, and Faith, seven. Less than 2 percent of the world's people have red hair, but does that mean they don't deserve their own emojis? The long-neglected ginger population is rejoicing with news that they'll finally be represented in a group of 157 emojis coming out this year. Looks in neutrals, reds and purples brought the drama Sunday on the Oscars carpet, along with a healthy dose of shiny gold, but Nicole Kidman stood out in stunning cobalt blue at Hollywood's biggest fashion show. LOS ANGELES (AP) — The Academy Awards are the Super Bowl of sparkle, at least to the jewelers vying to adorn all those famous ears, necks and wrists. Martin Katz, who has outfitted Nicole Kidman, Kate Winslet and hundreds of other stars with bling for more than 25 years, said the process used to be more about personal connections. LOS ANGELES (AP) — Sandra Bullock, Dave Chappelle, Christopher Walken, Rita Moreno and Helen Mirren are among the latest slate of stars set to appear on the 90th Academy Awards. Oscar telecast producers revealed another round of celebrity presenters on Tuesday, which also includes Jane Fonda, Matthew McConaughey, Lupita Nyong'o, Nicole Kidman, Jodie Foster, Ashley Judd and Eugenio Derbez. Nicole Kidman's "hidden talent" is eating bugs. The 'Killing of a Sacred Deer' star has devoured a number of critters including "extraordinary" hornworms, "fruity" mealworms, "exquisite" grasshoppers and crickets, which she likens to a "hairy nut". Speaking about her talent in a video for Vanity Fair magazine, she said: "Two billion people in the world eat bugs and I'm one of them. I'm telling you, I'd win Survivor." Nicole Kidman doesn't think her husband Keith Urban would want to act alongside her. 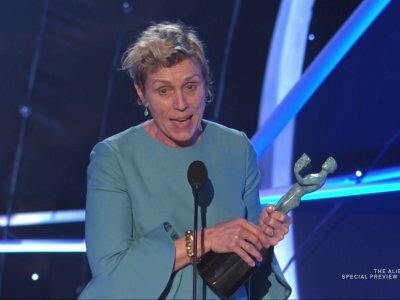 The 50-year-old actress won the Outstanding Performance by a Female Actor in a TV Movie or Miniseries prize at the Screen Actors Guild Awards on Sunday (21.01.18) for her role in 'Big Little Lies', but doesn't expect her significant other to land a part in the series anytime soon. Nicole Kidman was left feeling "deeply emotional" after her win at the Screen Actors Guild (SAG) Awards on Sunday (21.01.18).